Samsung continues to impress with the release of their latest high-end smartphone across Europe, the Galaxy S2. 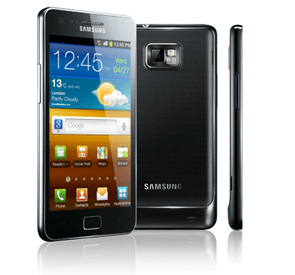 This second generation Galaxy S phone rapports a dual-core processor, and is one of the first available handsets to do so. Customers in the U.K and a few other western European countries are already rocking the new device, but Samsung has yet to confirm a release date for the U.S. But, despite the lack of a release date we do know a few other details, along with the reason why the U.S. launch is being delayed. Similar to the launch of the original Galaxy S, Samsung has worked up another branding deal with U.S. carriers. After the massive headache that transposed from branding of the original, it is rather surprising Samsung would go this route again; unless of course their hand is being forced by the carriers themselves. PocketNow picked up on the trail from an accessories manufacturer that unwittingly leaked the branding names early. No word yet on whether a T-Mobile variant is confirmed or denied, but Samsung may be holding off on it in lieu of the AT&T acquisition of T-Mobile. Although we don’t know when the phone is coming, at least now we know that it is coming, and within the year. At this time it is estimated that the phone will arrive in the U.S. sometime this Fall or Winter. Stay tuned for updates on the release date!